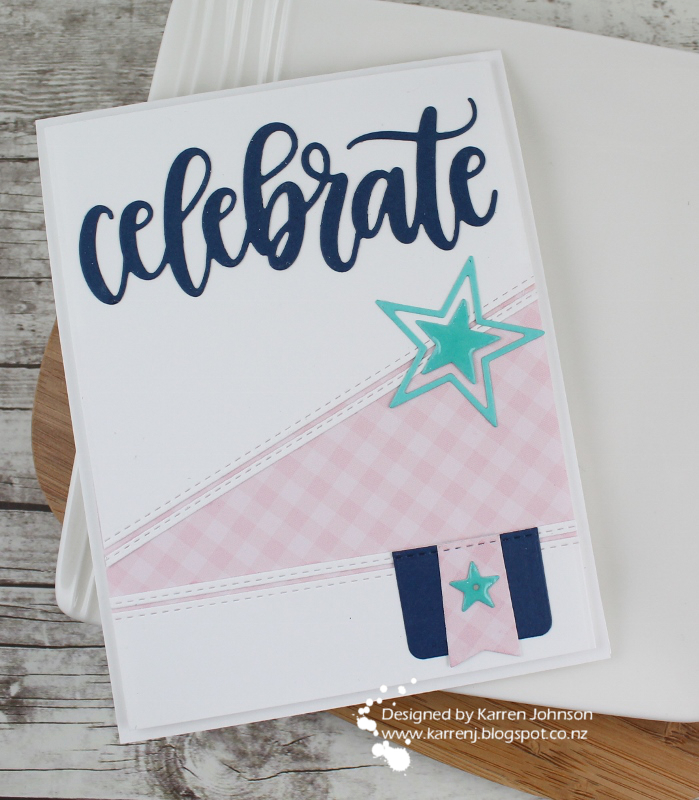 Beautiful cards Karren and I love how you used that thin sliver of stitched card to add to the patterned paper. It works perfectly. I think your 'Celebrate' die cut looks perfect right where it is (we are so much alike) and I love that you chose these pink and white gingham papers for this card! Beautiful color combo, too...Great job combining challenges, Karren! 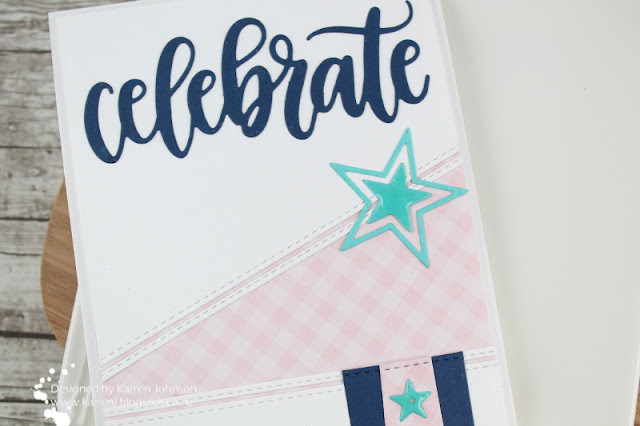 Great colors and design, Karren! I love how you used your extra stitching on the inside - it's a great detail. You and angles did great together! You rocked both the sketch and the throwdown colors! Lovely card! Thanks so much for joining us this week!